Member and past president National Association of Credit Management, Hilton Head Island chapter. Hilton Head Area Home Builders Association. Past Associate Vice President. Past Associate of the Year 1993 and 2005. Current Legal advisor to the Board of Directors. Past District Associate Director. Past SC state director. Chairman of the board and founder of the Educational Foundation of the Hilton Head Area Home Builders Association which is a non-profit organization dedicated to the funding of an endowment for the purpose of providing college scholarships students of need. Past director of the Board of Directors of the South Carolina Home Builders Association. Denny was born and raised in Aiken, South Carolina. After graduating from Newberry College in Newberry, South Carolina, he married Deborah Wheeler of Saluda, South Carolina. 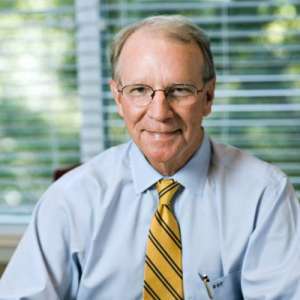 Denny accepted career position with Daniel International Corporation (now Flour Corporation) and was transferred to Hilton Head Island, South Carolina in 1973. At Daniel International he was trained Fraser Law Firm, LLC in construction methods and procedures, concentrating on various areas of field project management; primarily within the areas of payroll, accounting, procurement, purchasing, human resources and job cost maintenance. He left Daniel International 1976 to found the D.H .Fraser Company, Inc. which specialized in residential and commercial construction. After being involved in general construction, renovation and maintenance for ten years, Denny changed the direction of the business focus to concentrate exclusively on the sale and manufacturer of metal products utilized in the commercial and residential construction industry. To realize a personal passion and life goal, Denny entered the University of South Carolina School of Law in 1997 and earned the degree of Juris Doctor in 2000. Thereafter he joined another local law firm as an associate and became a partner of the firm in 2004. The firm employed seven attorneys and enjoys a general corporate and private clientele and practices in the fields of corporate and personal counseling and litigation. In 2014, Denny Fraser founded the Fraser Law Firm. Fraser’s practice concentrates in many construction related legal areas such as construction defect litigation, contract issues, payment issues, risk management, debt collection suits, Mechanic’s Liens, and foreclosure. Denny and Debbie Fraser have two daughters, Page and Lizzi, and reside on Hilton Head Island Fraser Law Firm, LLC. We are a team of dedicated legal professionals, ready to help you in any way we can. Undergraduate studies at Newberry College, leading to a Bachelor’s degree in History with minor in Math and English. Completed 1972. Undergraduate studies at University of South Carolina outside of a degree program focused on Human Resource Management and Public Communication. Graduate studies at University of South Carolina School of Law completing the degree of Juris Doctor 2000. Toastmaster’s International Public communication program. National Association of Credit Management collection procedures seminars. National Business Institute Mechanic’s Lien Seminars, Collection and Foreclosure Seminars. Lorman Educational Services Mechanic’s Lien, Collection and Foreclosure Seminars. South Carolina Bar Association Mechanic’s Lien and Collection Seminars. Cary Schumacher is our Real Estate Paralegal with 15 years of experience. Cary relocated to South Carolina from Maine when she joined our practice.